The Santa Barbara County Community Services Department has announced that the beaches at Isla Vista will be closed due to the potential for a “Floatopia” event on Saturday, April 7 and Sunday, April 8, 2018. The closure is declared to prevent a re-occurrence of the conditions that resulted from the 2009 Floatopia. The Santa Barbara County Code (Section 26-11) authorizes the Community Services Department to close any County recreation area including beaches. Following the Floatopia event in 2009, the beaches at Isla Vista were left strewn with trash and debris, including human waste. This large-scale event with thousands of participants had no provision for the health and well-being of the public, including no facilities for human sanitation or refuse collection. The County of Santa Barbara, therefore, took action to close the Isla Vista beaches for similar events since 2010. The Floatopia event planned for April 7, 2018 is not a sanctioned event and there are no approved permits issued. 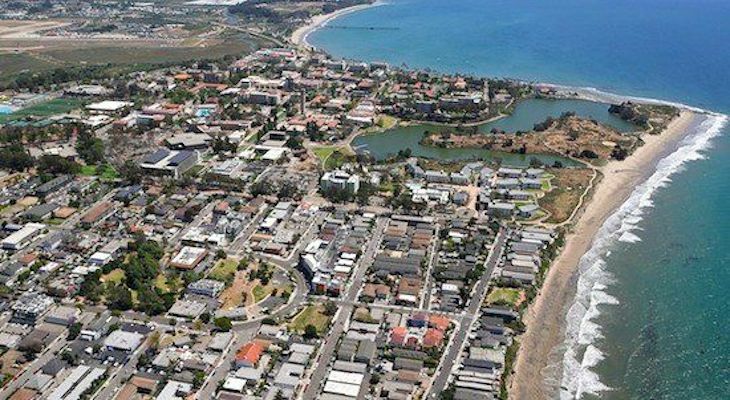 As such, the County Community Services Department will declare the Isla Vista beaches closed to public entry to protect public health and safety, and to protect the beach from excessive waste and litter. The Santa Barbara County Sheriff’s Department will enforce the closure. HOMERS. Yes, nice photo. And nice to see someone making a positive comment. I understand why the I.V. beaches are being closed. How sad that others must suffer/stay off our beautiful beaches all because partiers can't party without littering and being destructive of beach habitat. It's not because they destroyed the beach. That's a false narrative. It's for the safety of the students. It's a miracle no one died that day. If everyone in the community (excluding students) went to the IV beaches this weekend, they would be forced to open it. It's illegal for them to close the beach, but the students will never question that. It's not "because partiers can't party without littering and being destructive of beach habitat" now, it's because almost a DECADE ago, partiers were destructive. Don't impute the actions of the past to today's generation of college kids. You can't just assume today's students and young adults are going to do the same thing their predecessors did. Martial law declared on public land to offset a potential beach party? Wow, we are truly lost as a society... Next thing you know they'll make you leave your home due to a slight chance of a mudslide a mile away... What has happened to our country / society? We are truly living in bizzarro times.